Get the facts you need to make decisions when it is time to shop for diamond jewelry. Our diamond guide covers the Four Cs of white and colored diamonds, along with facts about diamond fluorescence, commonly used treatments that enhance a diamond’s appearance and much more. Diamond clarity is a term used to describe the presence or absence of a diamond’s flaws — internal inclusions and external blemishes that affect the gem’s appearance, and sometimes its durability. Our tutorials cover the facts about diamond clarity and explain how it can be altered. We’ll explain the facts about diamond clarity, including how clarity affects the value and durability of a diamond, and how clarity can be altered. Get the Facts About Diamond Clarity – Understanding Diamond Clarity Makes You a Better Shopper. Does Diamond Clarity Really Matter? Clarity is one of a diamond’s 4C’s. Get the facts about diamond clarity and learn how it affects the quality, look, and integrity of your diamond. Clarity enhanced diamonds might save you money, but some diamond clarity treatments are temporary. Learn more about each process before you go shopping. What is a Clarity Enhanced Diamond and Should You Buy One? Diamond clarity is one of four important diamond quality characteristics you might hear about when you shop for an engagement ring and also other diamond jewelry. A diamond’s clarity isn’t always natural since mechanical treatments can alter it. Clarity enhanced diamonds may be among the gemstones offered to you when you start shopping, especially if you’re shopping on a budget. You may also inadvertently buy a clarity enhanced diamond without knowing it. Learn the basics about clarity enhanced diamonds to help prevent against fraud. The terms used to define diamond clarity focus on inclusions inside the diamond or blemishes on the surface of the diamond. A natural diamond with perfect clarity–FL or IF–is very rare. Most diamonds that are graded SI have flaws that cannot be seen without looking at them through a microscope or jeweler’s magnifying loupe. Imperfections inside a diamond, such as tiny spots of white, black, or other colors; large or small cracks; colored and uncolored crystals. Flaws on a diamond’s exterior surface, such as nicks and scratches. Naturals, leftovers of the rough, uncut and unpolished surface of a diamond. A small laser beam is used to drill into the diamond. The beam tunnels into the stone to remove inclusions. Some inclusions are dissolved by chemical solutions that a guided through the narrow tunnels. Laser drilling typically leaves lines that resemble tiny jet trails. These trails are visible under side-view magnification. Laser drilling removes inclusions permanently and does not alter the strength of a diamond. Normal cleaning and heat produced during setting repairs won’t change the appearance of the stone. Laser drilled areas that are filled in with a clear substance are more difficult to detect, but this filler is not permanent. Before you buy a diamond, learn a few facts about inclusions — flaws inside the gemstone. Some diamond inclusions create problems, but others are no worry at all. If you are thinking of buying a diamond, a color of diamonds chart can help you do decide which one you want. Color is one of the four main attributes of a diamond that are graded by gemologists in deciding the overall quality of the diamond. Those attributes are color, cut, clarity and carat weight. Diamonds Color Chart: Diamonds in the D-to-Z color range. The less color, the higher their value. The industry leader in grading diamonds, GIA (Gemological Institute of America) has developed a system of grading diamonds that is universally accepted throughout the jewelry industry. Their system ensures that every diamond will be graded on the same scale, and so consumers can be sure that their diamond has been graded correctly and fairly. Color is one of the most important attributes of a diamond that determines how valuable the diamond is. Traditionally, completely colorless diamonds are the most valuable. The GIA color of diamonds chart can be used to judge a diamond’s color, and thus its value. Trained gemologists examine each diamond and compare the color they see with previously graded diamonds under strictly controlled lighting and viewing conditions. The farther down the color scale the diamond is rated, the lower its value. It is a simple system, but a very powerful one, and ensures the consumer of the exact quality of the diamond. Always make sure any expensive diamond you intend to purchase has been graded, preferably by GIA. Feel free to copy and print the chart below to use when you see the certificate for a diamond you want to buy. You can easily see what color the letter grade given to your diamond correlates to by referring to our color of diamonds chart; now you can be sure you will get what you are paying for, and you will end up with a gorgeous diamond that will surely become a family treasure in years to come! You might be surprised to learn that a diamond’s cut does not refer to its shape. Use our tutorials to learn about the techniques used to cut diamonds, now and in the past, and discover which types of diamond cuts are most popular. A diamond’s cut is important because it affects the gemstone’s beauty, value, and durability. You might be surprised to learn that a diamond’s cut does not refer to its shape. Use this guide to become accustomed to techniques used to cut diamonds, because cut affects a diamond’s beauty, value, and durability. Facts and photos to help you choose the best diamond shape for your engagement ring and other diamond jewelry. What is a Clarity Enhanced Diamond and Should You Buy One? : Clarity enhanced diamonds might save you money, but some diamond clarity treatments are temporary. Learn more about each process before you go shopping. Fracture Filling: Find out more about fracture filling, a process that fills-in small fissures on the surface of stones. Laser Drilling: Before you shop for diamonds be aware that laser drilling is sometimes used to remove flaws. Don’t confuse references to the yellowish color in diamonds of lower quality to fancy colored, rare diamonds that are found in all colors of the rainbow. Start exploring fancy color diamonds here. Engagement Rings Set with Color Diamonds: Fancy colored diamonds exist in all shades and colors of the rainbow, but, some of the most popular colors are blue, brown, pink, yellow, green, orange and red (which is rare). Many colorful diamonds are treated in ways that enhance their colors, and there’s nothing wrong with that as long as the treatment is disclosed to you. Ideally, colorless diamonds, also called white diamonds, should have no obvious yellowish or brown tinting. Our diamond color articles explain how the differences in color grades affect a gem’s desirability and include information about treatments used to enhance color, diamond fluorescence and more. Find out how a diamond’s color affects its value, which diamond color grades are best to avoid, and how color can be manipulated to enhance a diamond’s appearance. One of the Four Cs, diamond carat weight is an important aspect to understand before you shop for diamond jewelry. Diamond carat weight is one of the Four Cs. Use our articles to understand carat weight and to find out how weight affects a diamond’s value and availability. Carat Weight: Tips to help you understand a diamond’s carat weight. The author includes advice for those on a budget and makes suggestions to guide your purchase of diamond jewelry. Carat Weight Visual Chart: JewelryDays.com helps you visualize how a diamond’s carat weight translates into cut size using a diagram that illustrates round brilliant cut diamonds of ideal proportions. Diamond mining conditions and the control of the diamond industry are both hotly debated subjects. Learn about the controversies surrounding the sale of diamond throughout the world and find tips that will help you determine if your diamond could have come from a conflict zone. Diamonds are tough but they are not indestructible. These tips will help you clean and care for your diamond jewelry so that it’s as beautiful in twenty years as it is today. 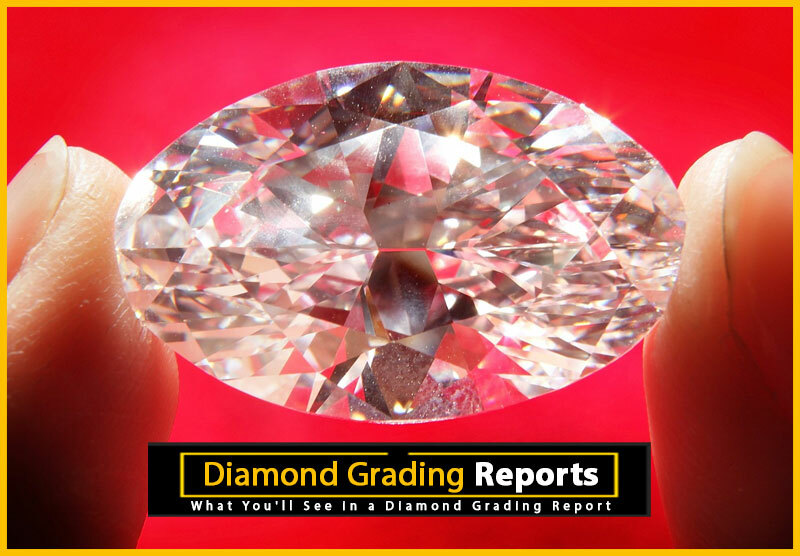 A diamond grading report verifies that a diamond is genuine and provides an evaluation of many of the gem’s characteristics. 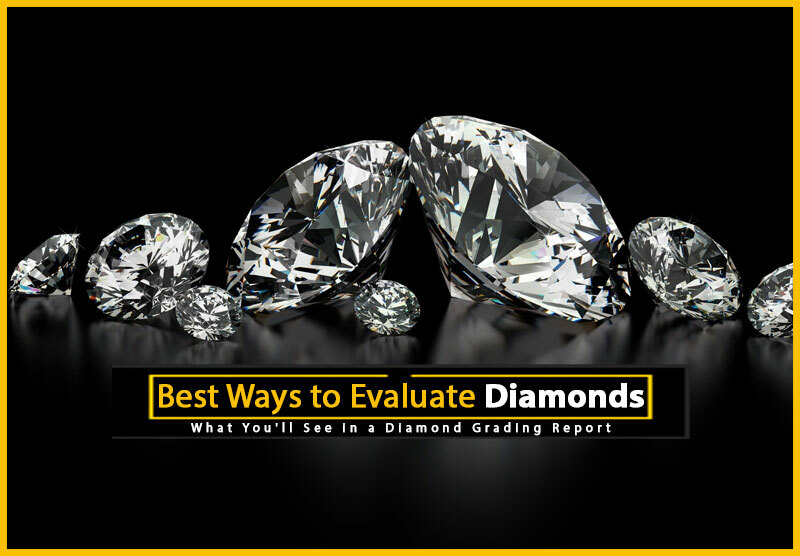 Learn how diamond grading reports and certificates can help you select a diamond. About Diamond Certificates: A discussion of the things you can expect to see on a diamond certificate or grading report. Includes information to help you decide if the report was made by a reputable firm. From the UK’s Buy a Diamond. Difference Between a Diamond Certificate and an Appraisal: Just what the title says. Find out how the two documents differ and what questions you should ask about each process. Our guide to diamonds and gemstones helps you get the facts you need to make smart jewelry buying decisions. Find out how diamonds and colored gemstones can be manipulated to make them more attractive, and decide if treated gemstones are a good option for your purchase. Explore precious metals, gemstone shapes and colors and popular setting methods. Learn about gemstone imposters, too, to avoid a surprise later when you find out that a ‘gem’ is made of glass or another inexpensive material. Diamonds and other gemstones can be manipulated in all sorts of ways to make them more attractive, and that’s perfectly fine because it makes what would otherwise be less desirable gemstones more attractive and more affordable. Get the facts you need to make an informed purchase, beginning with the basic Four Cs if you’re buying a diamond. And then dig deeper to learn the ins and outs of gemstone treatments. Finish up by exploring precious metals, gemstone shapes and colors and popular setting methods. Four important diamond characteristics are known as the Four Cs: diamond color, clarity, cut and carat weight. Each quality is important on its own, but it’s up to you to combine the four in different ways to find a diamond that suits your style, your needs, and your budget. Once you’ve mastered the Four C’s, be sure to explore other important diamond qualities. How much do you know about that diamond ring you’re wearing? Here, we share the answers to 10 of the most common diamond questions. This FAQ will take your diamond jewelry knowledge to the next level. 1. How Can I Tell if My Diamond is Real or Fake? There are so many diamond simulants on the market, so sometimes when you think you have found a diamond, you are actually looking at a fake. Learn how to test diamonds at home. 2. How Do I Clean My Diamond? If you wear your diamond all the time, it is only a matter of time before it becomes dingy and covered with dirt, grime and lotions. Learn a safe and effective way to clean your diamonds at home. 3. How are Diamonds Formed? Some people believe that diamonds were formed from coal, but this is not the case. Learn about the most common way diamonds were formed and why coal has nothing to do with it. 4. What is a Conflict Diamond? Conflict diamonds have been a problem in the jewelry industry for a long time but came to the forefront in the 1990’s. Learn about how a diamond is classified as a conflict diamond and what you can do to avoid purchasing one. 5. What Does My Diamond Grade Mean? Most larger modern diamonds on the market come with some type of diamond grade, whether it is done through GIA or an independent gemologist. Learn about the 4 C’s and how they use the 4 C’s to grade your diamond. 6. How Do I Care For My Diamond? Even though diamonds are among the hardest gem material on the market, there are certain things you should do when you buy one. Learn about insuring, storing, and caring for your investment. 7. How Can I Buy a Diamond Online? Buying diamonds online is a great way to save money if you know what you’re doing. It is important to be wary of certain things when you decide to buy a diamond online, but this guide will help you. 8. Where Can I Buy a Diamond Online? If you decide to buy a diamond online, it is important that you choose to purchase from a reputable dealer. Here is a list of some of the top internet diamond retailers. 9. Is My Diamond Loose? If you own diamond jewelry, you may have experienced loose stones or even worse, loosing a stone altogether! If you are hard on your jewelry, it is important that you check your stones often to be sure they aren’t loose and susceptible to falling out. Here we show you how to check your diamonds at home before you take a trip to the jeweler. 10. How Do I Sell My Diamond Engagement Ring? Sometimes you might be in the position where you have to sell your diamond, whether you’ve run into money troubles or your marriage has fallen apart. This guide will walk you through the ins and outs of selling your diamond. Several characteristics work in sync to create a diamond’s overall appearance, durability and value, and four of those factors are often referred to as the Four Cs: diamond color, clarity, cut and carat weight. Each of the Four Cs is an important characteristic to consider when you buy a diamond, but there’s no set recipe for the perfect gem. Work through the Four Cs in a step-by-step manner and you’ll find that it doesn’t take long to learn how to combine characteristics to find a diamond that suits your style, your needs, and your budget. Most shoppers are looking for a white diamond, in other words, a colorless diamond, but the larger the gem, the more expensive it is to buy a high-quality colorless gem. Don’t let that bother you, because realistically, you don’t need a completely colorless diamond — many diamond color grades are quite nice, thank you. An understanding of diamond color helps you make important decisions, and there are some special considerations that play a part in your final choice, such as color enhancements (some are permanent, some are not). Diamond fluorescence is a characteristic that makes a diamonds shift its color in different types of light, and another factor you should consider before you shop. A perfect diamond with perfect clarity, or clearness, is rare, but the good news is that most flaws that exist in jewelry grade diamonds can’t be seen without looking at the gemstones through a jeweler’s magnifying loupe. That doesn’t mean you should ignore clarity, because there are several characteristics that affect it, and some of those can have an impact on a diamond’s durability. Become familiar with diamond clarity and all of the terms associated with it so that you can ask the right questions (and understand the answers) when you shop for a loose diamond, a diamond ring or other diamond jewelry. Did you know that a diamond’s cut does not refer to its shape? When gemologists say “cut,” they are talking about a gemstone’s proportions — its depth and width and the uniformity of its facets — all characteristics that control brilliance, durability and other qualities you’re looking for in a diamond. Carat weight is another diamond characteristic that you can juggle with the rest of the Four Cs in order to get the look and quality you want. Carat weight affects a diamond’s appearance and its price, making it an element you should definitely understand before you buy. 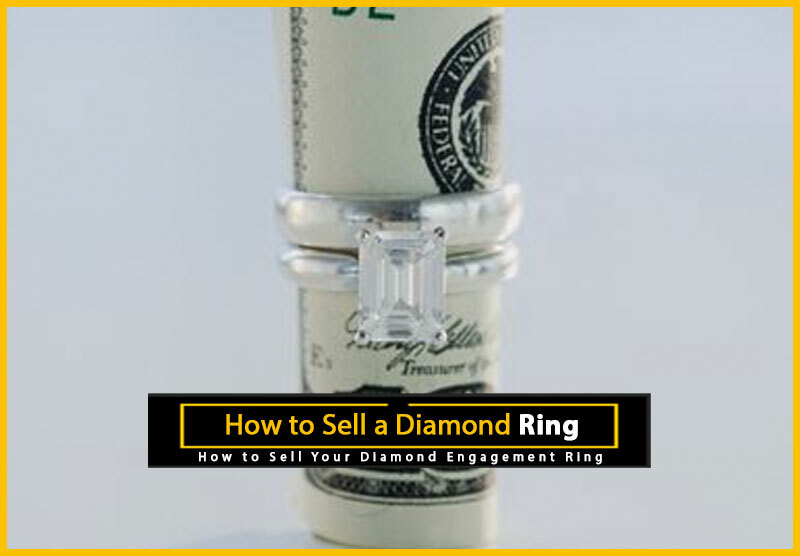 As you explore the topic, you’ll discover money-saving ways to make a diamond look larger than its true weight. Fancy color diamonds have their own special set of Four Cs, and since they’re a little different than the Four Cs of white diamonds, start your journey here if a colorful diamond is on your shopping list. What about color undertones? How do they fit into the diamond’s worth? Are cutting considerations different for fancy color diamonds than they are for white diamonds? Like other diamonds, fancy colored diamonds achieve maximum brilliance when cut to the most ideal and accurate proportions. A good cut gives a fancy diamond its sparkle and helps to bring out the most intense color possible. When cutting color diamonds, the cutter usually considers its inclusions, because they can enhance the diamond’s color. Facets and angles also add color to a diamond, so the cutter must think about what shape would bring out the gemstone’s best appearance. What shapes are the most popular for color diamonds? AMGAD: Round/brilliant, oval, princess and radiant color diamonds are in high demand. You’ll also see color diamonds cut into fancy shapes such as hearts, trapezoids, Asschers, and others. The scarcity of the fancy cuts helps those diamonds command a premium price. Use these resources to start exploring diamond clarity, because understanding what clarity is all about will help you choose the best gemstone for your needs. Don’t be concerned if the clarity grade of the diamond you choose is not near the top of the scale, because the more ‘perfect’ a diamond is, the more expensive its price tag will be. Diamonds with a lower level clarity grade are gorgeous and needn’t be avoided. Get the facts about the labels that are used to designate clarity before you buy — you won’t be as nervous about choosing a lesser-graded gem. Inclusions within a diamond or other gemstone are very much like a person’s fingerprints, a unique characteristic that gives each gem its own special signature. Getting to know your diamond inside and out makes the gem a more personal possession, and will help you describe and identify the diamond if it is ever lost or stolen. You know how clarity is affected by inclusions and blemishes, but did you know that treatments can remove many of the flaws? Some treatments are permanent, but other diamond clarity enhancements are temporary. Get the facts before you shop, and you’ll have a better understanding of treatments you can live with and which methods should be avoided. Diamond Color – What is a White Diamond? All diamonds are graded on their color, no matter whether they are white (colorless) diamonds or the fancy colored diamonds that exist in pastel to vivid shades. A diamond with a top color grade is beautiful, but rare and expensive if its carat weight is significant, but diamonds of other grades are perfectly lovely, too. Other qualities fall under the category of diamond color, including fluorescence and treatments to make a diamond appear to have a more desirable color than it did when created by Mother Nature. Learning as much as you can about slight color variations in white diamonds, and a few other color qualities will help you become a more savvy diamond shopper. Most white diamonds are not truly colorless, but it’s the colorless stones that other diamond grades are judged against. We’ll show you the differences in diamond color grades, and explain why you do not need a top-graded diamond to own a high-quality gemstone. 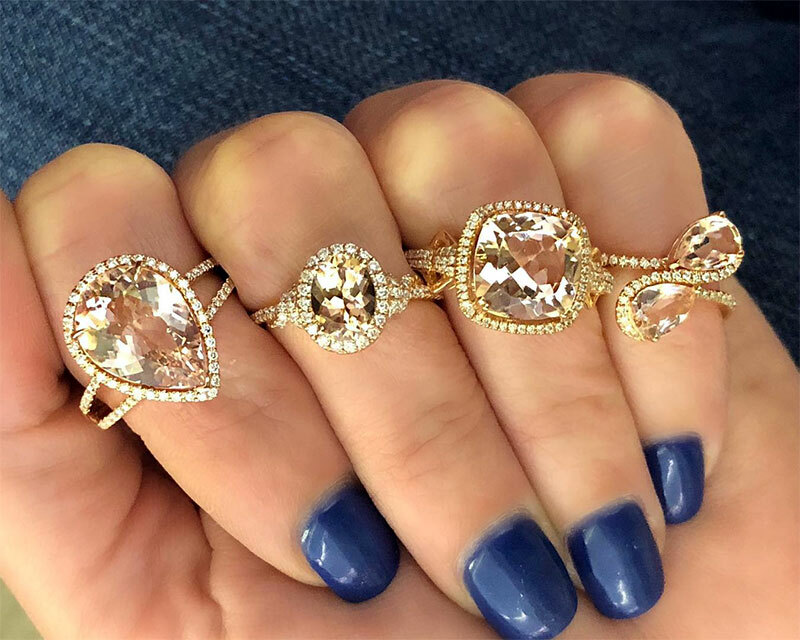 Gemologists have developed color treatments that turn ho-hum diamonds into the show-stoppers that the public demands, but like other diamond treatments, only some types of color enhancements are permanent. We’ll explain which types of treatments are used for the enhancements — an understanding of the methods will help you ask important questions when you shop for a diamond. Before you buy a diamond, it’s important to understand how diamond clarity is sometimes enhanced — some of the enhancements are not permanent. Irradiation is a diamond heat treatment that serves a different purpose. Gems are irradiated first and then subjected to intense heat. The process can turn some brown and yellow diamonds into fancy colored diamonds — greens, vivid yellows, blues, purples, reds, and other colors. Is an irradiated diamond a good choice for your needs? We’ll help you decide. Our fancy color diamonds tutorial might just entice you to put a vivid diamond on your wish list. You’ll see lots of photos of color diamonds, get the facts about the special Four Cs of fancy colored diamonds, hear jeweler opinions of pricing and more. We’ve included a section devoted to pink diamonds, one of the most popular colors. Facts About Diamond Blemishes – What Is a Diamond Blemish? Blemishes are just one of the topics you should think about when you shop for a diamond engagement ring or other diamond jewelry. Become familiar with blemish terminology so that you can ask questions–and understand the responses. When it comes to evaluating a diamond, the most important factors to consider are cut, color, clarity, and carat which are also known as the Four C’s. I created this infographic to provide you with a simple reference point that explains the basic diamond terminology of these four quality factors. To view and download a full-size version of this infographic click here. Stay up to date with the latest jewelry news and tips by following us on Facebook, Twitter, Pinterest, and Instagram. There are plenty of places to source a quality diamond whether that be at a local retailer or at one of the many online jewelry marketplaces popping up on the internet. However, there are advantages and disadvantages to buying a diamond online, with the main advantage being convenience and money saving. The basic diamond-buying rules apply for both in person and online purchasing, but there are a few more important things to consider before spending thousands of dollars online. It’s very important when purchasing a diamond to know what exactly you are getting. This is especially important when purchasing online because you are purchasing sight unseen. Understanding the clarity, color, carat, and cut of diamonds will help you make a more informed decision even without being able to see the stone in person. It’s amazing what you can do with computer graphics nowadays! Some sites have pictures of jewelry that are created on their computer through CAD software. Find out if the website you may purchase from is showing you a picture of the actual diamond you will receive or just using a computer stock photo. More often then not, loose diamonds are accompanied by these generic stock photos, so it makes it more difficult to tell exactly what the diamond looks like. Being able to understand the four C’s can help you a little in this case, but there is a lot of variance between two diamonds with the same carat and quality grades – to the naked eye, one might look significantly more appealing than the other. Diamond cost isn’t as volatile as the gold market can be, but diamond prices have definitely increased over the past five years. Like the gold market, the prices on diamonds fluctuate on a per carat basis based on general supply and demand. Many retailers base their prices on the industry’s wholesale Rapaport price list, so if possible, try to find out the going wholesale rate of the diamond you wish to purchase from this list. This list is only available to people in the jewelry industry, but sometimes retailers will openly share this information with you. Another way to get a good feel for the diamond market is to research similar size and quality stones from various online retailers. Remember though that there is a large price variance between stones of similar quality and carat weight even within the same website. 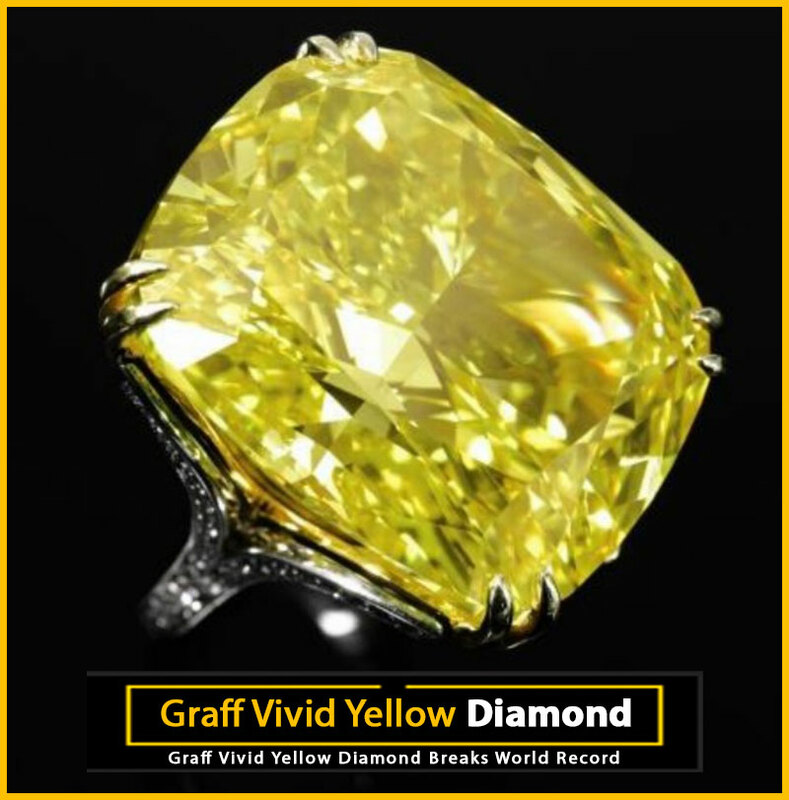 There may be five hundred VS2 G color stones between .85 – .89 carats all listed on the same site, one may be priced at $3,800 and the other at $5,800. Often times the difference in price is due to the diamond’s cut which can be hard to appreciate over the internet but is by far one of the most important attributes of a diamond. 4. Is the Company Reputable? Whether buying at an online auction or at an online retailer, it is important to do a background check on the company. First, check to see how long the business has been established, see if they are part of any jewelry trade associations, and read any testimonials or feedback provided. Make sure you are comfortable with all their terms of sale including money processing and their return policy. 5. Is the Diamond Certified? Diamond certification is especially important when buying loose stones over the internet. Whether the diamond is graded by an appraiser or a gem lab, some form of authentication should be provided on stones close to 1 carat or more. Gem labs like GIA and EGL will only provide certifications on loose stones, so estate pieces are often graded by independent appraisers based on their presence within their setting so the original heirloom diamonds do not need to be removed. For antique and estate pieces, acquire an appraisal. For a loose diamonds or modern jewelry, acquire a lab certification. Conflict diamonds represent a group of diamonds that originate from a territory that is undergoing intense conflict and war. These stones have also been referenced as blood diamonds, war diamonds, and hot diamonds, and the proceeds from the sale of these stones help fund further conflict and bloodshed at the hands of some vicious warlords. The picture of these diamonds paint is not a pretty one, as evidenced in the 2006 movie Blood Diamond. Proof that diamond trading was helping fund violence and various human rights violations surfaced in the late 1990’s which launched a global conversation discussing how such acts could be prevented. In 2000, the United Nations Security Council met in Kimberley, South Africa with the hopes of holding diamond traders accountable and to create a paper trail of each diamond so consumers could be certain their diamond did not promote further violence. After two years of negotiations and talks between governments, the World Diamond Council and the United Nations drafted and approved the Kimberley Process Certification Scheme (KPCS) which was an international declaration that would require proper authentication of all diamonds being imported into any country and also penalize anyone caught trafficking conflict diamonds or diamonds without the proper certification. Does the Kimberly Process Certification Scheme Work? The Kimberly Process is headed by African countries that have large and legitimate diamond trades. Despite efforts to help other developing countries in Africa benefit from a legal and clean global diamond trade, the KPCS has unfortunately been unable to completely stop the flow of conflict diamonds from infiltrating the legitimate diamond trade. Due to corruption within certain governments, some have argued that it’s impossible to prove that a diamond with a Kimberley Certification is in fact conflict free. Bribes have been made, and laws have been broken. Also, in order for the KPCS to work, all countries would have to comply with the recordkeeping required, and countries like Venezuela have failed to follow these requirements, leading to gaps in determining the exact origin of certain diamonds. Not only are there flaws in the existing system, the KPCS only defines a conflict diamond as a stone that helps finance a war. However, what about diamonds that are a further product of a corrupt government that has a high poverty rate, low wages, various human rights violations, and poor environmental standards? The KPCS does not protect the consumer against this type of diamond trading. Even with all the regulations, the US has in place to discourage conflict diamond trading, how can you really ensure your diamond is clean? The United States is by far the largest consumer of diamonds in the world, so we better be sure as consumers to not only count on the legislation the government has in place but also hold businesses accountable. Just because a business says their diamonds are conflict-free and abide by the KPCS, this isn’t necessarily enough. Do your research! Besides investigating each businesses’ policy on conflict diamonds to ensure it is strict enough, what else can you do? Look closer! The Canadian government is in full support of the KPCS and has passed several laws to prevent the trade of conflict diamonds. Canada is also an excellent source for conflict-free diamonds since large deposits of diamonds were discovered in Northern Canada in the 1990s. The resulting diamonds are mined, cut, polished, and sold within Canadian borders. These diamonds carry a Canadian Certificate and have a unique identification number laser inscribed on each diamond’s girdle. Your best bet is to purchase a diamond from a reputable source or a diamond that you can otherwise prove originated from an ethical mine like those in northern Canada or other legitimate mines like the Argyle mine in Australia. Can’t find a “new” diamond you feel confident in? Consider buying an authenticated antique diamond. There are important steps everyone should take to care for their diamond jewelry. Whether it’s your diamond engagement ring, diamond studs, or a diamond necklace, it is important you protect your investment! There very first thing you should do when you purchase a diamond is thoroughly inspect your diamond and the setting with a loupe. You will want to make note of any characteristics that can set your jewelry apart. For instance, is there a small inclusion in your diamond, or a unique engraving on the inside of the band? Knowing these special aspects of your diamond and setting will help protect you in the event that your ring gets stolen or tampered with. It is also important to check for any defect like a loose stone or sharp prong so the jeweler can tend to these issues right away. Another thing you should do after you purchase a piece of diamond jewelry is insured it. Since diamond jewelry can be the most expensive piece of jewelry you own, it is very important that you protect your investment against damage, loss, and theft. In order to have your jewelry properly insured, you will need to have an insurance appraisal which can usually be obtained from the place you purchased the jewelry from. You will also need high-quality photographs of your jewelry. Read more: All About Insuring Your Jewelry. Every morning before putting on your diamond jewelry, you should check that all the stones are tight. This can be done by using your fingernail or a small pin to try and move around the stone. If any are loose, don’t wear the piece and bring it to your jeweler for repair. Store your diamonds in a safe spot! You should have two places in your home to store your diamond jewelry, especially your diamond rings. The first should be a safe place for storing your jewelry when you are not wearing it for a long period of time. This could be as a simple as buying a safe or as DIY as building your own hidden jewelry storage. The second should be a place you always put your diamond jewelry when you take it off temporarily. This could be a ring holder that is placed next to your sink or in a cabinet. If you take your rings and other jewelry off and put it different places each time, there is a good chance you could lose it. Sleep in your jewelry on. Shower with your jewelry on. Go swimming, do the dishes or anything else that will involve submerging your jewelry in liquids/chemicals. Press on the top of your stones when putting on and off diamond rings–hold ring from the sides of the shank instead. For diamond jewelry you love to wear, you should take some time at least once a month to give it a proper cleaning. Rings and earrings will need to be cleaned much more than necklaces and bracelets. Here are 5 DIY recipes for cleaning your jewelry at home. Jewelry is like a car in that it is a wear item. Many people assume that because they paid so much for their diamond jewelry and since diamonds are known for being extremely durable, that their jewelry is indestructible. This may be partially true, but the part of your jewelry that is most likely to wear down is the metal. Gold wears down considerably over time, especially if you are continually submerging your jewelry in chemicals and liquids. Prongs may need to be re-tipped and shanks may have to be built up. You should have the diamond jewelry that you wear often professionally cleaned and inspected at least twice a year by a reputable jeweler. Diamond rings will require much more maintenance than a pair of diamond earrings. A Guide to Diamond Color: Find out what role diamond color plays in determining a diamond’s quality. Guide to Diamond Clarity: A perfect diamond with perfect clarity is rare, although most flaws cannot be seen without magnification. Learn how gemologists judge clarity and how clarity affects the value of a diamond. Avoiding Conflict Diamonds: Each of us has the power to help put an end to the international trade of conflict diamonds. Facts About Diamond Clarity Treatments: Improving diamond clarity. Facts About Diamond Color Treatments: Treatments used to alter diamond color. Diamonds Created from Human Ashes: Would you wear them? Fancy Color Diamonds: How they get their vibrant colors. Diamond Laser Inscription: Romantic.. yes, but with practical uses. You’re Not Crazy About Diamond Engagement Rings? There are many alternatives. Choosing a Diamond Engagement Ring: How To get the most diamond for your dollar. The Splendor of Diamonds, Exhibit: Seven rare diamonds on display in one place.